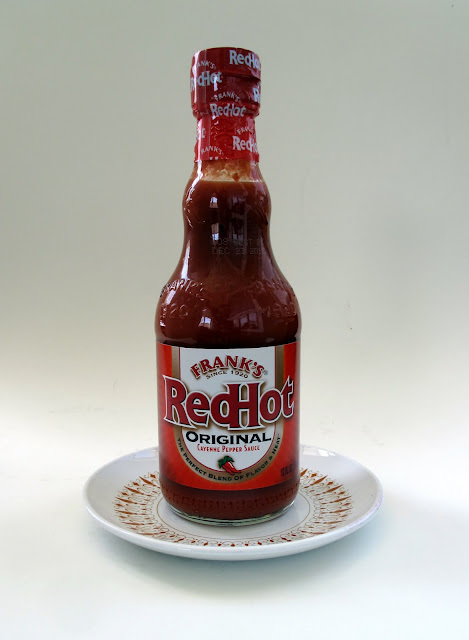 A couple weeks ago I got a surprise in the mail from my friend Amy who runs the awesome blog tahinitoo. I tore the package open and inside were three Eli's Earth Bars! Amy lives in the Vegan paradise known as Portland, Oregon and has access to stuff I won't see here in Omaha for a couple years. I honestly had never heard of these bars before but became excited when I read that they are produced by Sjaak's, who makes tons of excellent Vegan treats. What is also exciting is the fact that the bars are all organic and Sjakk's donates 5% of every sale to a non-profit charitable organization that benefits children. Pretty amazing! Now to the nitty gritty. 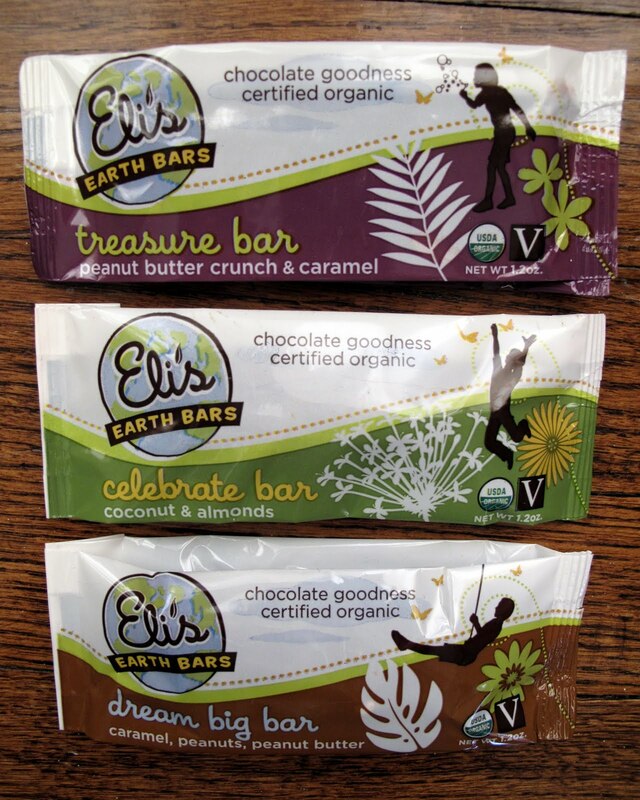 Obviously people will compare these to Go Max Go Bars but I think Eli's Earth Bars are good enough to stand on their own. Out of the three I would say the Treasure Bar was my favorite. Loaded with sweet pb crunch, it's definitely something I've missed in a Vegan candy bar. It melted in my mouth and was gone in no time. If you've had Sjaak's pb cups before then you know what I'm talking about. My second favorite was the Celebrate Bar. I'm not usually one for coconut but it really hit the spot. It's definitely an Almond Joy descendant with crunchy almonds and soft coconut. And last but not least is the Dream Big Bar. It has some of the elements of the Treasure Bar but a little too much caramel for me. But I did enjoy the addition of the peanuts, though. In all honesty, I would eat any of these bars at any time because they are delicious. You can purchase them at Food Fight, Cosmo's, Vegan Essentials, Pangea and even Sjaak's! 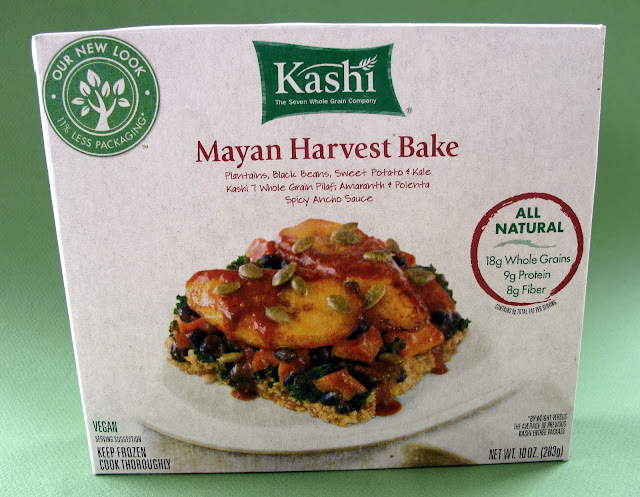 The Kashi Mayan Harvest Bake is one of the most unique frozen dinners I've ever had. 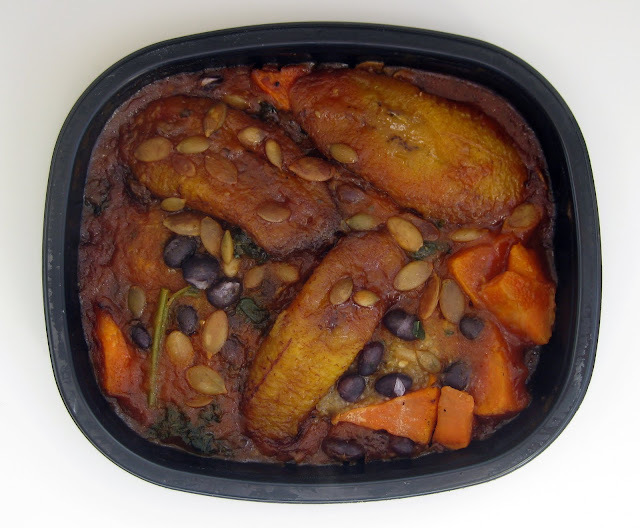 The list of ingredients includes plantains, sweet potatoes, kale, polenta and pumpkin seeds. Definitely not your usual line up for a frozen dinner! As someone who has a handful of frozen dinner standbys, it was nice to mix it up and try something new. 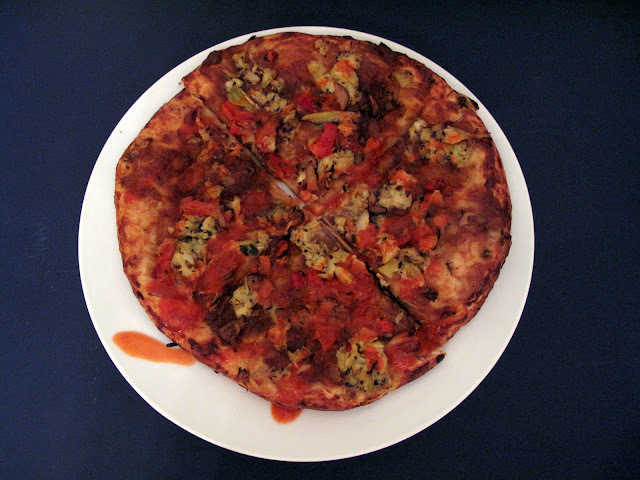 What came out of the microwave wasn't as fancy looking as the picture on the box but don't let that fool you. If I were to describe the meal I would say it definitely leans towards Latin cuisine but unlike anything I've ever had before. I enjoyed all of the different flavors from the sweetness of the potatoes and plantains to the spiciness of the ancho sauce and the sheer number of ingredients made it very filling. My only complaint is that it isn't organic. Minus that minor gripe, I think this is one is a winner. I look forward to new and interesting offerings from Kashi. I really didn't want to do an Easter candy post because I'm still on a sugar high from Valentine's Day but I saw Vegansaurus's post about Vegan Cadbury Eggs and I fiended out. If someone were to ask me what I missed from my pre-Vegan days, I would say Cadbury Eggs. So I wasted no time and ordered the gang of Easter candy from Pangea. 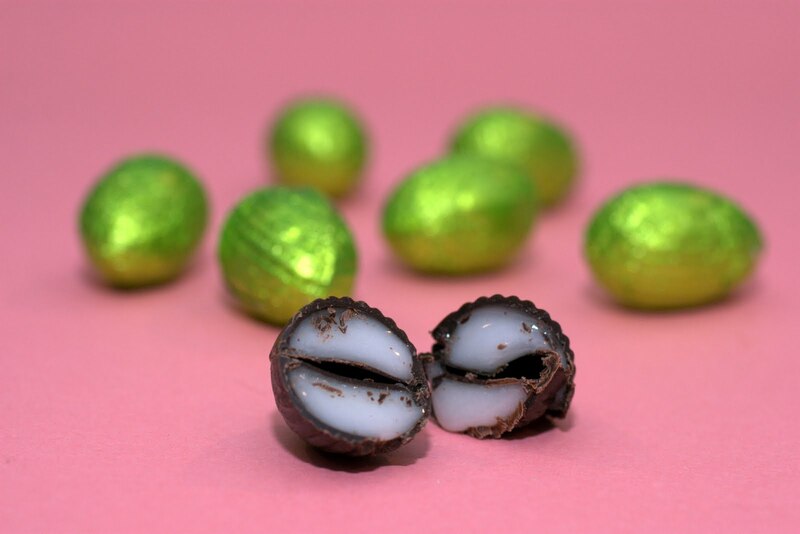 So these are the VeganSweets Vanilla Cream Eggs aka Vegan Cadbury Eggs. They are delicious and do taste similar to the real thing. Sweet and creamy just like I remember. I wish they had the yellow yoke like the Vegan Etsy ones but that's just nitpicking. I totally give these two thumbs up! Next up is Sweet & Sara Easter Peepers & Skippers. A faithful reproduction of Peeps only better! 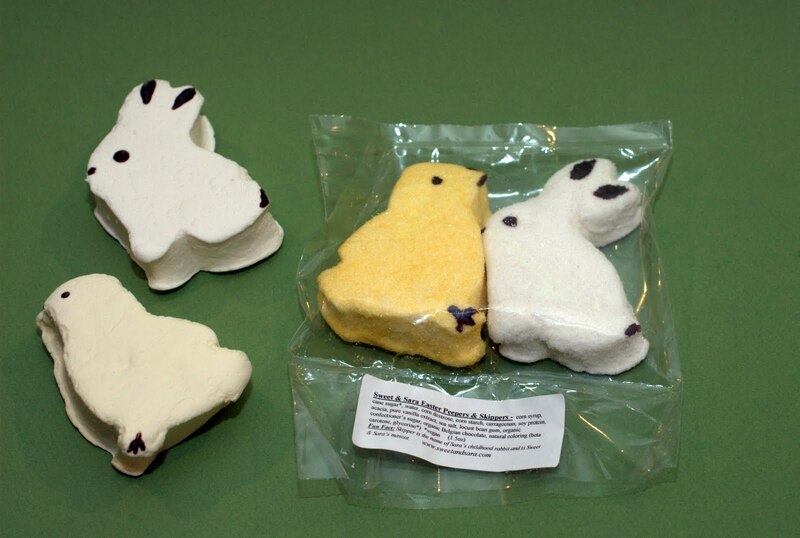 Sara has reformulated the marshmallow recipe and it's better than before. On the packaging it says "Skipper is the name of Sara's childhood rabbit and is Sweet & Sara's mascot." How cute is that! Who doesn't love a big chocolate easter bunny? 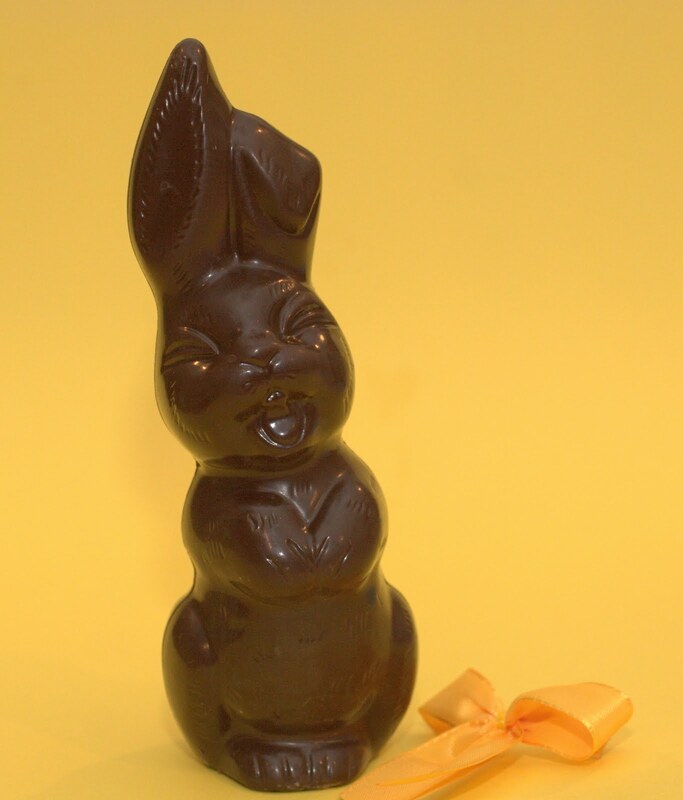 This Chocolate Happy Bunny is made out of pure Belgian chocolate. I'm saving it for a friend who is going to house-sit for me but I'm sure it's delicious. 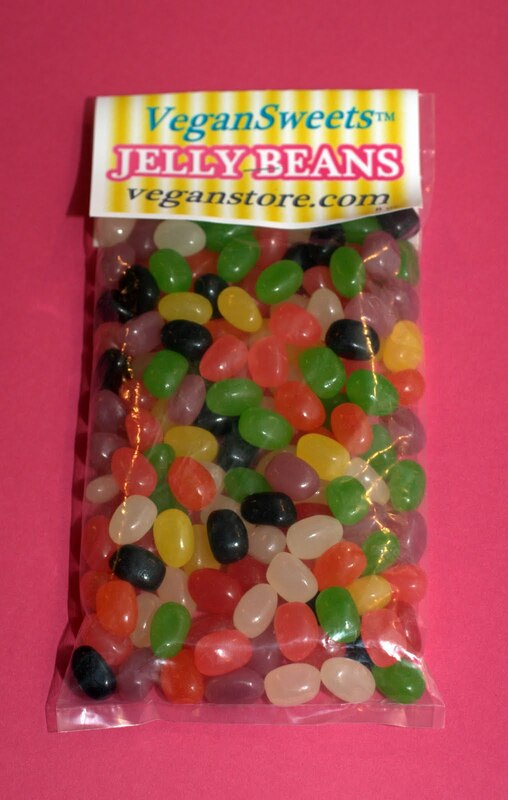 You really can't have Easter without jellybeans. I can't even remember the last time I had one. VeganSweets Jellybeans are fantastic and no one will notice that they are Vegan. 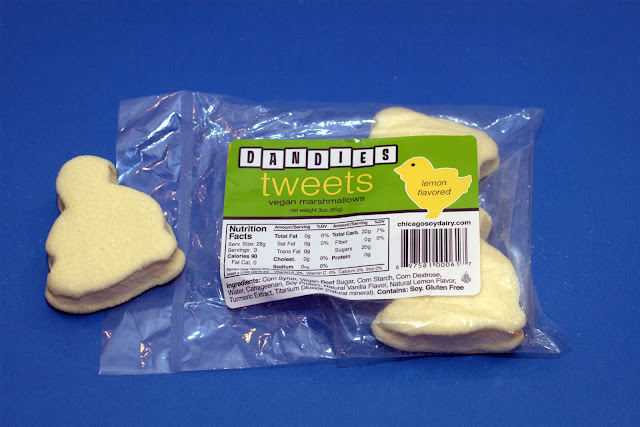 These Dandies Tweets are similar to the Sweet & Sara's Peepers but they have a lemon flavor. I really loved them! The lemony flavor was nice and tangy and had me wanting more. 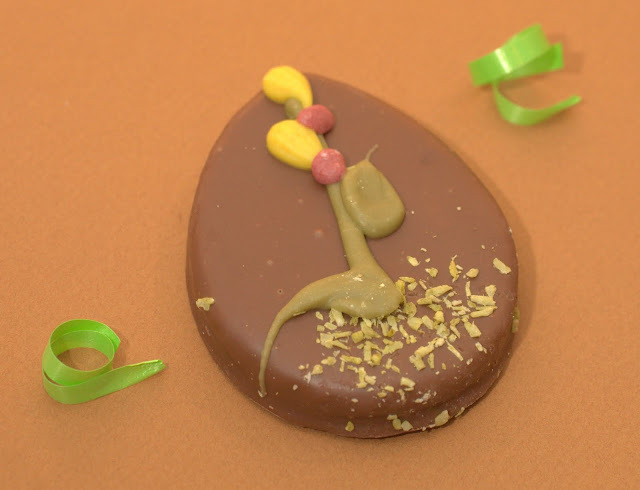 Sjakk's Crunchy Peanut Butter Easter Egg rounds out the treats from the Vegan Easter Bunny. Beautifully decorated and packaged, I would describe it as a gourmet Reese's Peanut Butter Cup. So darn good! Back in March, I went on a cruise through the Caribbean. Stops included Key West, Jamaica, Grand Cayman and Cozumel. At each stop I looked for pre-packed Vegan food. I didn't have very much luck but it was still fun looking! 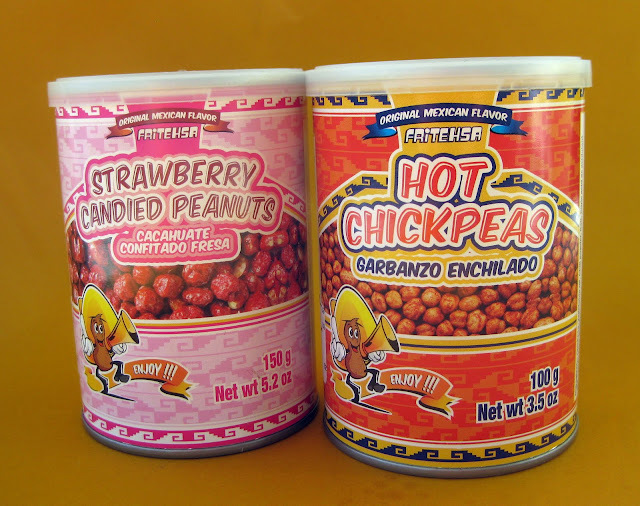 While in Cozumel, I ran across these chickpeas and peanuts from Fritehsa in a gift shop. I had my fingers crossed that they were Vegan and sure enough they were. The Strawberry Candied Peanuts were my favorite. Can you go wrong with sweet coated peanuts? Nope! I also enjoyed the Hot Chickpeas as they reminded me of spicy CornNuts. Yum yum!